Greetings again from the darkness. Adaptations of Superheroes, Comic Books, and Graphic Novels have been driving the movie theatre box office for a few years now. Where the financial success of a film was once measured in tens of millions, it’s now hundreds of millions. Beyond that, these enormous productions are pressured to make political and social statements … providing the hope of which real life leaders seem to fail. 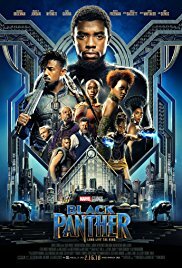 This latest from Marvel and director Ryan Coogler (CREED, FRUITVALE STATION), carries all of that plus the expectations of an entire gender and race. It’s a heavy burden for a comic book character, however it seems, regardless of one’s perspective, it’s likely the film delivers, satisfies, and … oh yeah … entertains. The bar has been set so high for action sequences and special effects, that we take the great for granted and only speak up on those that falter. What allows this film to take its place among the best of the genre is a combination of story depth and the payoff for showing us a world we haven’t previously seen. The cultural aspects of the (mythical) African country of Wakanda are not only interesting, but the setting itself is breath-taking. An explosion of color, texture and technology blended with intriguing and multi-dimensional characters bring the film to life and draw us into this wonderland of tradition, culture and humanity. It seems ridiculous to speak of a comic book film in these terms, but the number of talking points raised during its runtime are too many and too varied to discuss in this format. What we can make clear is that it’s cool to watch an entire movie where people of color and women are strong, confident, and intelligent. Chadwick Boseman has played Thurgood Marshall (MARSHALL), James Brown (GET ON UP), and Jackie Robinson (42), and here he takes on a fictional icon in King T’Challa/Black Panther. He perfectly captures the pensive nature of a King balancing tradition with the needs of his people to evolve and transition. His chief adversary “Killmonger” is played terrifically by Michael B Jordan (CREED, FRUITVALE STATION) as a man out for revenge and power. For most movies this head to head battle would be enough … but not this time. Lupita Nyong’o (Oscar winner for 12 YEARS A SLAVE), Danai Gurira (“The Walking Dead”), and relative newcomer Letitia Wright play Nakia, Okoye, and Shuri respectively; a triumvirate of three of the strongest women you’ve likely ever seen on screen. Nakia is the love interest, but also carrying out her own humanitarian missions, while also proving to be beyond adequate as a soldier. Okoye is the ultimate warrior and absolutely loyal to her country, while Nakia (T’Challa’s sister) is a contemporary version of James Bond’s Q – the ultimate technology whiz, and one with the zippiest zingers. Any of these characters could be the basis for a standalone movie, but together they elevate this to something much more than a couple of dudes in sleek suits fighting. Martin Freeman (THE HOBBIT), Daniel Kaluuya (GET OUT), Sterling K Brown (“This is Us”), Angela Bassett, and Forest Whitaker are all contributors, and Andy Serkis is a frenzied standout in an all-too-brief turn as Klaue. The strong cast delivers even in the few moments when the script lags. In fact, the only piece of this puzzle that didn’t seem to fit was the traditional hand-to-hand combat to determine the next king. Why is it that a nation so advanced still relies on primitive courses of decision-making? Perhaps this is merely commentary on our society, though providing a more intellectual solution would have been in line with the rest of the story. The world of Wakanda is stunning. The costumes are sleek, colorful and fascinating. The characters are multi-dimensional. The action sequences are top notch (armored rhinos!). The cinematographer is Rachel Morrison, who recently made history by being the first woman to receive an Oscar nomination for cinematography (MUDBOUND). It’s these factors that allow Mr. Coogler’s film to achieve the level of importance that most comic book films wouldn’t dare to strive for. On top of everything, it accomplishes the one thing I demand from these type of movies … it’s quite fun to watch! Greetings again from the darkness. Gerard Butler doesn’t always make wise decisions when picking his projects. In the right role, men admire him for being cool and tough, while women are enchanted with his charm. The role of Secret Service Agent Mike Banning is just about perfect for Butler. He not only gets to be an action hero, but he also has a solid relationship (with Radha Mitchell) and is a role model for the President’s young son. Butler is so nearly perfect here, he should be cast in the next Old Spice commercial. The movie starts out with the backstory on how Agent Mike Banning (Butler) fell out of grace with the President and was reassigned to a desk job at Treasury. Pushing paper is like Siberia for a man of Banning’s make-up. A terrorist invasion on the White House tosses Banning right smack in the middle of a violent and explosive act designed to leave the entire United States decimated. Circumstances being what they are, Banning is the only hope. Movies like this must have a quality bad guy. We get icy Rick Yune as Yang, a North Korean criminal mastermind. You might think this is extremely timely given the real world in North Korea, but Yune is certainly no Governmental official. The attack is very well planned and leaves Yune locked in the White House security bunker with the President, Vice President and Secretary of Defense (a spunky Melissa Leo). At the Pentagon, this leaves the Secretary of State (Morgan Freeman) and a bombastic General (Robert Forster) jockeying for control. Angela Bassett is there to referee. As movie goers we are accustomed to seeing Morgan Freeman as God, as the President, and as the brains behind Batman. Secretary of State seems a step backwards career-wise, so it’s a relief when he assumes Presidential control. While this group of officials sits around looking anxious and worried, Agent Banning is a one man wrecking crew against the terrorists. The images of the White House being attacked will prove quite disturbing to any US citizen and the sequence comes off as something that could possibly occur. Let’s hope director Antoine Fuqua (Training Day) performed sufficient research to know this attack couldn’t actually happen. Still, Aaron Eckhart is a believable President … in the Harrison Ford (Air Force One) mode, tough as nails but also intelligent. There are of course similarities to Clint Eastwood’s 1993 film In The Line of Fire, and many are comparing it to the 1988 classic Die Hard. For me, the difference in Gerard Butler’s Mike Banning and Bruce Willis’ John McClane is that Butler is the right guy in a bad place, while McClane was a good guy in the wrong place. The action sequences in Olympus Has Fallen are even bigger than Die Hard, and it’s certainly clear there is much more at stake. The cast also includes Dylan McDermott and Ashley Judd. Without giving anything away, I’ll admit this is my favorite Ashley Judd role of all time. It will be interesting to see how this one compares to Roland Emmerich’s White House Down, which comes out in June. The story lines are almost identical with WHD starring Channing Tatum and Jamie Foxx. Olympus Has Fallen is a very satisfactory action movie, with many traditional elements, and Butler has re-established himself as a real movie star. It’s doubtful Emmerich’s version will stand up against this one. Greetings again from the darkness. Well it’s mid-February and the hope is that this is the worst movie I will sit through all year. It’s a waste of talent and utterly senseless … which would be fine if it happened to be funny. 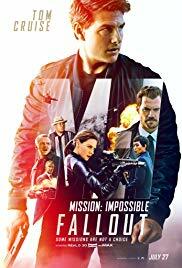 Somehow the writers and director manage to mash-up a spy thriller, action film, buddy film, and romantic comedy into something that is none of those and a slap in the face of the viewers. This one is directed by McG, whose first two theatrical films were Charlie’s Angels and Charlie’s Angels: Full Throttle, both of which had more and better action sequences than this (that says plenty). It stars three very attractive people in Chris Pine, Tom Hardy and Reese Witherspoon. Their job is to continue to look attractive, sparkly eyes and all, in each progressively more absurd scene. Chelsea Handler is tossed in as Witherspoon’s married friend, who doles out horrible and trashy dating advice in what sounds like a lousy stand-up comedy routine. Angela Bassett, a normally fine actress, is totally out of place in her couple of scenes as the always-angry boss. Til Schweiger (Inglourious Basterds) is totally wasted as the generic bad guy. The movie bookends two lackluster action sequences that make little sense and are not much to look at. In between, we have two best buddy co-worker spies competing for the affections of the same girl, who is taking advice from her nasty, jealous friend. All of that is done with little action, no suspense, minimal comedy and absolutely no logical sense. Did I mention that the three leads are all very attractive? One of the minor details that really irritated me was a scene in a giant video store where Pine and Witherspoon are debating the hierarchy of Hitchcock films. In and of itself, that would be fine. But this conversation takes place in front of a display of multiple copies of Hitchcock’s The Lady Vanishes. Multiple copies. In a video store. Probably more copies than Amazon has in stock. Throw in an escalating series of outlandish dates, a multi-million dollar bachelor pad for Pine (what is the salary for a 30 yr old spy? ), buddy dialogue that makes Riggs & Murtaugh or Tango & Cash sound like Lincoln and Douglas. This is evidently supposed to be an action flick for chicks. There is gunfire, muscles and childlike banter coming from two attractive spies who both love the attractive woman who is desperate to be loved. This means flop.